Update: a few points of clarification: this article, as most articles on my blog, is a personal opinion. I am not a journalist, and this is not a news website. I am disappointed as a (long time) customer by Sony’s attitude (not only in this lawsuit, but in general), so I decided to raise my voice, as a customer and a developer. I decided to stop buying Sony’s products, but I am not calling for a boycott of any kind. I just wanted to show that not everybody agrees with what Sony is currently doing, and I expect some of the readers of this article to disagree with me, this is how we can get interesting discussions on the subject. The more people talk about it, the best. The worst would be for this lawsuit to go under the radar. Sony America is suing Geohot for the whole PS3 jailbreak thing. Hopefully my opinion on the subject is clear: I believe Sony deserve to lose this lawsuit. I’ll try to give details below, by discussing a few arguments I’ve seen on the internet. The goal of most hackers around the world is to give freedom to hardware/software owners. The goal of hardware/software companies, like all companies, is to make money. These two goals are not incompatible. Some software and hardware companies manage to make lots of profits without locking their system. Like it or not, Windows is a good example of such a system. Last time I checked, you are still allowed to run Openoffice on windows. You are still allowed to run Skype. You are still allowed to run Firefox. Actually, the last time Microsoft even tried to make their own product more “visible” on their own platform, it backfired. I’m shocked that companies such as Sony or Apple haven’t been sued by the European Commision yet, given how devices such as the iPhone or the PS3 revolve around a huge customer locking system (locking the user in a hardware/software/distribution system vicious circle). Ask that to real game developers, not to Sony. One of the major reasons for Sony to lock their gaming system is to have control on both the customers and the game developers. By adding a DRM system to their console, they guarantee that game developers cannot sell a game for the PS3 without Sony getting a good share of the money. They are also using their huge power on the video game market to ensure that they get exclusive content (at least for a given period of time, such as Final Fantasy 13), preventing the devs from making money on other platforms. They are not trying to protect video games, but their business. Systems such as Android, Windows, or Linux, prove that you can have a system with lots of applications and games, without locking the hardware in a single distribution system. In their lawsuit against Geohot, Sony are using clever marketing techniques to make Geohot look like the bad guy. One of the most obvious ones is the major confusion (blindfully transmitted by so-called “technological websites”) that they intentionally create between hackers, cheaters, and pirates. Hackers are people who like to understand how their hardware works. If the PS3 was a car, being a hacker would be equivalent to opening your trunk and see how the engine works, or tweak the engine in order for it to work with solar energy rather than gasoline. (Online) cheaters are the guys who headshot you in Modern Warfare. Let me make one thing clear: Hackers and Cheaters are NEVER the same guys, because hackers rarely spend their time playing, and when they do, they are ethical about it. If the PS3 were a car, cheaters would be the people taking a parking spot for the handicapped, or not stopping at the red light, just because they think it’s fun. Pirates are the people who play illegal copies of games. If the PS3 were a car, pirates would be the people using the highway for free. They don’t contribute to the cost of the highway, making it more expensive for the other users. Again, I tend to believe that hackers are not pirates, because they have other fish to fry. My point here, beside the crappy car metaphor, is that Sony is trying to have “normal” customers believe that hackers are the same thing as pirates and cheaters, which is not the case. They are suing the wrong guy. Hackers did not put the bad programming in the PS3 security system, it was here in the first place, and they just found it. The same goes for game cheats such as Modern Warfare issues online. It’s not hackers’ fault if this game had a badly programmed security scheme. Additionally, hackers such as Geohot or fail0verfl0w did not program these cheating tools. It’s a well known fact in all IT companies that security in online systems should be handled on the server side. Would you trust a bank that does a credit card number validation on the client side instead of the server side? No. The same should go for video games. Given the price we pay for such video games, the least we could expect is these companies to do their jobs correctly on all levels, including security. There are many ways to deal with a security issue. Of course, in a usual security flaw case, it would have been best if the hackers had contacted Sony, let them know about the issue, give Sony a few months to fix the issue (if possible), and then reveal it publicly. But I think Geohot/failoverflow’s reasons became a bit personal with the removal of linux too. So, (and that’s a very personal opinion), I believe Sony started this, and the way the hack was announced was a way of letting them know that removing Linux was a very bad move (that, and other things they do to their customers). As far as not disclosing the vulnerability at all… well, I’d say we’re very lucky that people like Fail0verfl0w or geohot are the ones who discovered this flaw. For all you know, other people had discovered this before them, and were using it for bad things. Keep in mind that you enter your credit card number on your PS3 whenever you buy a game, or if you use the browser to visit your bank account. I personally am happier that this went public, rather than having the wrong people knowing about the issue. At least Sony knows about the issue, and hopefully they are monitoring more closely the things that could be done with this. There are many things I don’t like in this statement, and unfortunately I’ve seen this statement in many places, I also got such remarks from very close friends. First the PS3 IS a computer. Removing the mouse and the keyboard don’t make it different. So why should it follow different rules and laws from your normal PC? Second, the PS3 was falsely advertised as many things it is not: “the best bluray player on the market” (I can’t play region 2 blu rays that I legally bought, while my PC can), “linux support” (it was removed a few months ago, with no choice for the customers but to upgrade), or “it only does everything” (there are so many things it doesn’t do because of Sony’s locks, I can’t enumerate them, but, I’ll go with running homebrews). This led customers such as me to buy it, and become constantly disappointed by its limitations, or by the TOS changes that Sony forces on their customers, without a choice to make. Overall, what the PS3 can or cannot do is very obscure for the end customer, and absolutely not in line with the advertising that is made about it. 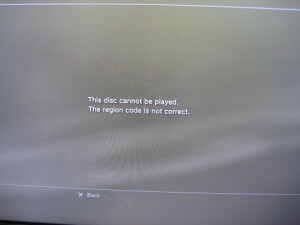 If I had known about the many limitations of the PS3 beforehand, I wouldn’t have bought it. Sure, I wasn’t expecting it to play homebrews, but I was absolutely shocked to not be able to play PAL DVDs, for example (especially since I’m convinced it’s a software lock, that could easily be tweaked). Hackers are bad, they are ruining the business of a good company, just for fun. Sony is just trying to protect their business. Companies like Sony, as I said above, are trying to make profit, this is what a company is for. To do that, they don’t hesitate to use nasty tricks, such as stealing intellectual property from other companies, installing viruses on people’s computers, installing crapware on the computers they sell… Many companies such as Sony try to go beyond the boundaries of the law, in the hope that they won’t get noticed, or that people won’t care. It is true that most of the time people don’t care, and when they do, they are usually not rich enough to fight back, given the costs of the legal system in most countries of the world. In other words, the fact that a big company does something does NOT mean it is legal. The DMCA in the U.S. is the result of major lobbying from companies that obviously didn’t care too much about customers protection, but their own interests. The fact that something is legal doesn’t mean it is always right. The DMCA law was voted very recently (1998, that’s recent for a law), and has shown its many flaws in the past. Most of the time, this law is abused by companies like Sony in order to prevent people from using the content they paid for, the way they want to use it. Because this law is very new and far from being perfect, a case such as this one is an opportunity to stand for the rights of customers. This is not only about Sony and PS3 piracy, but about the rights to own the content and the hardware we paid for. I’m really pissed at Sony for what they’re doing now. I believe they’ve screwed me many times as a customer, and suing a hacker puts the nail in the coffin for me. For now, I will stop buying any Sony product until this lawsuit ends up in a positive way. 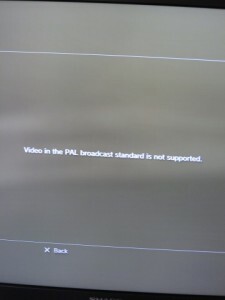 By positive, I mean a way for people to get homebrews to run on their PS3 if they want to, or, as Geohot stated, putting OtherOS back on ALL models of PS3 (including the slim), and a public apology for ever taking it out in the first place. I’ve already started boycotting Sony products. I was looking for a life insurance 2 weeks ago. The most interesting one was from Sony’s insurance subsidiary (Sony Life). I put it in the trash can immediately, and ended up choosing another one. This represents roughly 4.5 million Yen (about 40’000 euros) that won’t go into Sony’s pocket, just because of this lawsuit. Sony is suing the wrong guy, because it’s easier to sue a hacker than thousands of pirates. Because they were hurt in their pride, realizing that security through obscurity is not a good thing, they decided to react as a bully, by suing an individual, hoping he wouldn’t even try to fight back. I’m proud that a guy like Geohot does indeed fight back, and I hope Sony lose this battle, for the sake of customers’ rights in the future. Geohot had warned Sony that even though most customers wouldn’t care about this whole lawsuit, developers would care, and would remember when the day comes to choose a company. Maybe he was right. Geohot was accepting donations for his fight, donations are now closed, but watch his website closely for the next round.